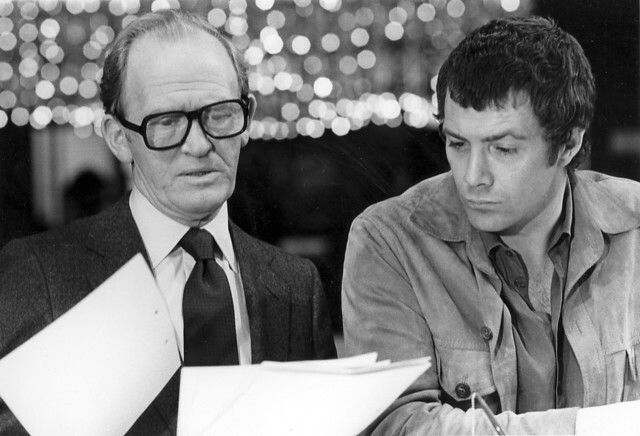 The Professionals was a British crime-action television drama series, with 57 episodes filmed between 1977 and 1981. It starred Martin Shaw, Lewis Collins and Gordon Jackson as agents of the fictional ‘CI5’ (a reference to the real-life MI5). This is the book launch of The Professionals, written by Bob Rocca and Julian Vogt. It’s an encyclopedia of everything you ever wanted to know about the hit show. 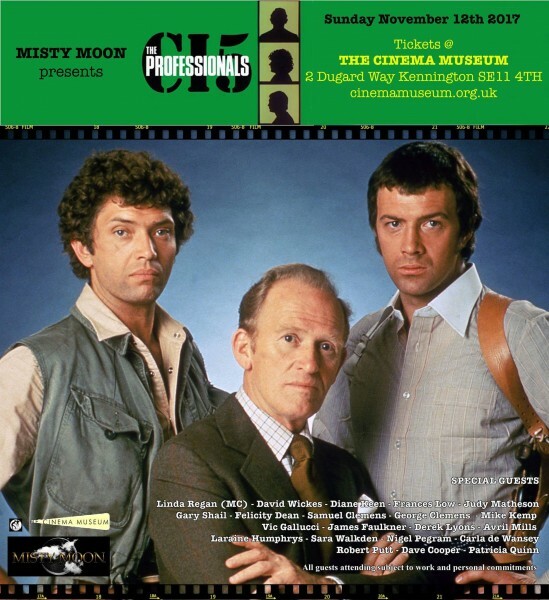 Hosted by Misty Moon’s Linda Regan, the afternoon will consist of clips from the series and special Q&A panels with guests who have appeared in the programme. There will also be a chance to meet the guests, get autographs and purchase the book (£40). 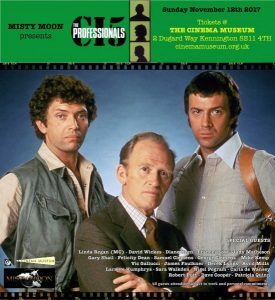 The following guests are confirmed: Avril Mills, Carol Royal, Clive Arrindell, Dave Cooper, David John, David Wickes, Del Baker, Derek Chafer, Derek Lyons, Diane Keen, Felicity Dean, Gary Shail, Gillian Duxbury, James Faulkner, John Judd, Judy Matheson, Kirsty Pooley, Laraine Humphrys, Mike Kemp, Philip Martin Brown, Prentis Hancock, Rayner Bourton, Robert Putt, Rocky Taylor, Sally Harrison and Sara Walkden.